Opened a month ago, Carnevino is celebrity chef Mario Batali’s second project in Hong Kong. He launched Lupa earlier this year, located at the same building just two floors down. 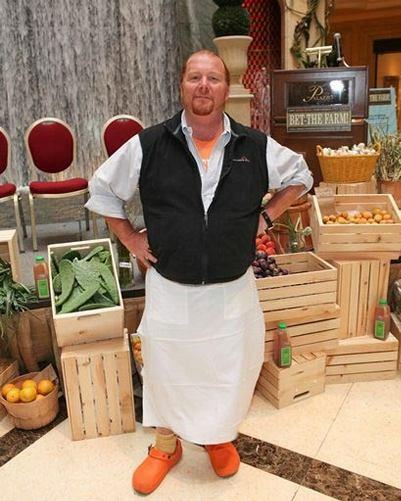 Batali owns and operates the original Carnevino steakhouse in Las Vegas and he is hoping that his Sin City success can be replicated here in Asia. The name combines the Italian words carne and vino, which mean meat and wine. Carnevino Hong Kong is an ideal bankers' hangout. It has a swanky bar area and a main dining hall that resembles a cigar room. Everything from the black leather chairs to the metallic light fixtures and the dark wood paneled walls oozes testosterone. It is a sleeker, more white-shoe version of the original Vegas restaurant. The $300 prix fixe menu includes an appetizer, a steak and dessert. I had the beef tartar to start, followed by the wagyu square steak, cooked medium rare. The appetizer was well-balanced and generously portioned, even though the uncooked beef was slightly gamy. The square steak was cooked to my exact specification. The marbled meat was blushing pink and flavorful, requiring no seasoning other than a pinch of sea salt. My only gripe was that the steak’s temperature was slightly off – it should have been served warmer and on a pre-heated plate. For dessert, I went with the safe choice: the chocolate torte featuring a fluffy pastry shell that released its molten content at the prick of a fork. It didn't disappoint. The service at Carnevino is somewhat uneven. The staff are friendly but don't seem very knowledgeable. When I asked my waitress to explain the differences between the three types of sea salt on the table, she answered: “They are all good with steaks.” “But are they flavored differently?” I offered her a second chance. Stumped by the simple question, she made up a rather unscientific answer: “The one on the left is stronger. The other two are more mild.” I didn’t know sodium chloride can have different degrees of saltiness. In the past 24 months, there have been an explosion of new steakhouses in Hong Kong. 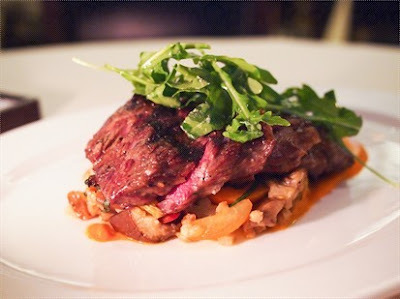 It began with Grand Hyatt Steakhouse in Wanchai, followed by Strip House in Lan Kwai Fong, Blue Butcher on Hollywood Road, and now the Hong Kong branch of Carnevino. I suspect that's because steaks have wider margins than other types of food. 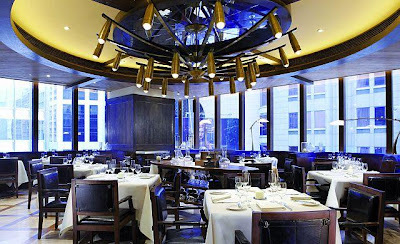 Carnevino is a more successful venture than Batali's other restaurant Lupa, which has already earned an unflattering reputation within the culinary circuit for lackluster food. Faced with sky-high retail rent and intense competition in the F&B business, it is uncertain how long Batali can stick it out in Hong Kong before calling it quits. This is the marvelous post about that I have come over after huge searches. I am really thankful to you for providing this unique information. Thanks a lot!